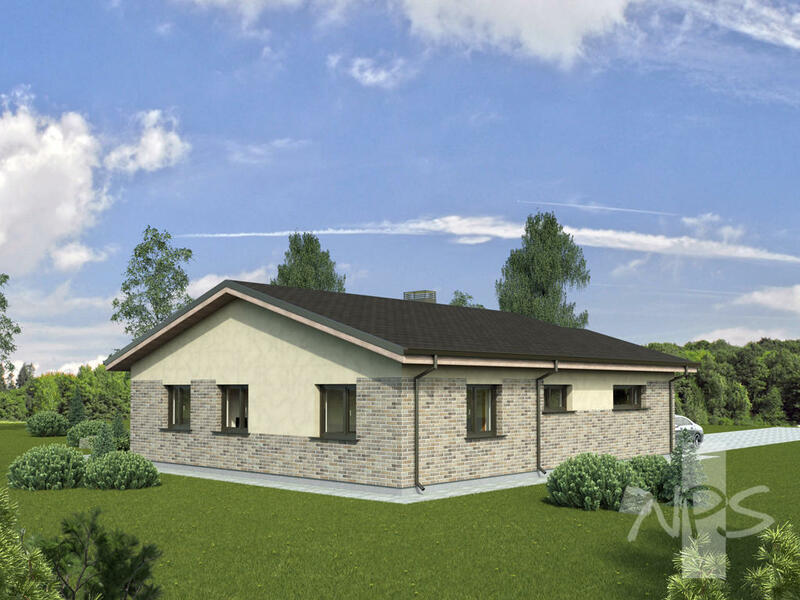 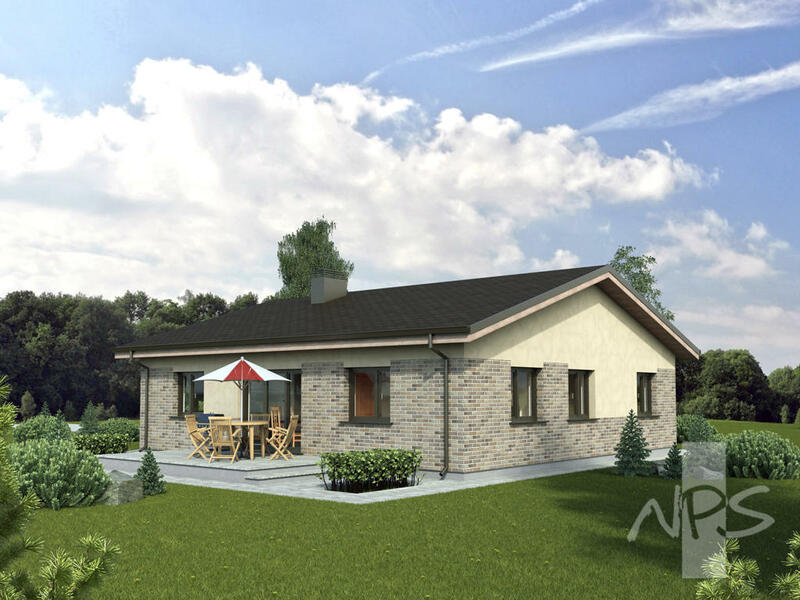 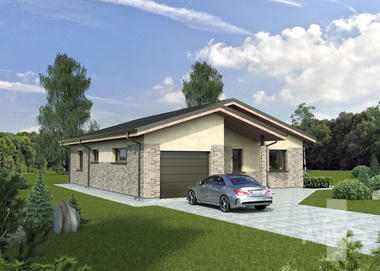 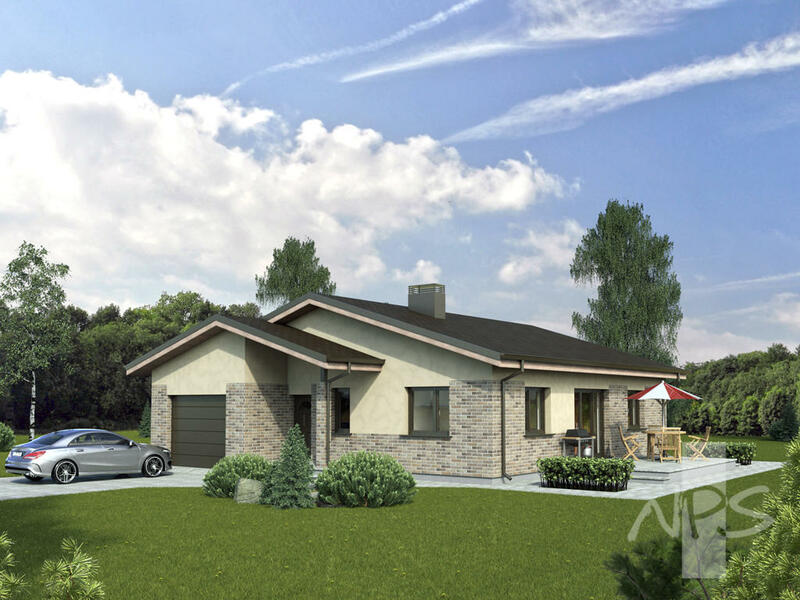 The house project "Kristina" is economical, does not cover the useful area. 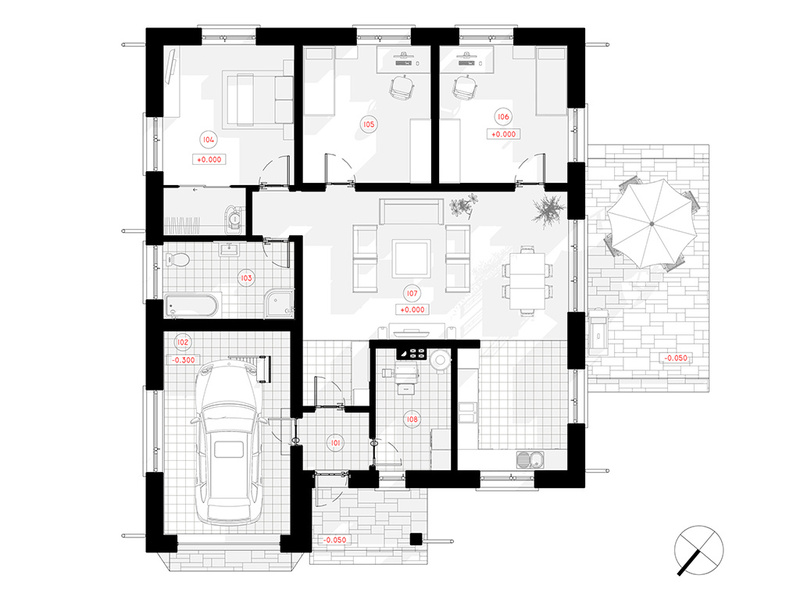 The house plan shows that the project does not have a corridor system (i.e., the corridor from which there are entrances to the rooms), due to which a large amount of useful area corresponds to non-residential premises. 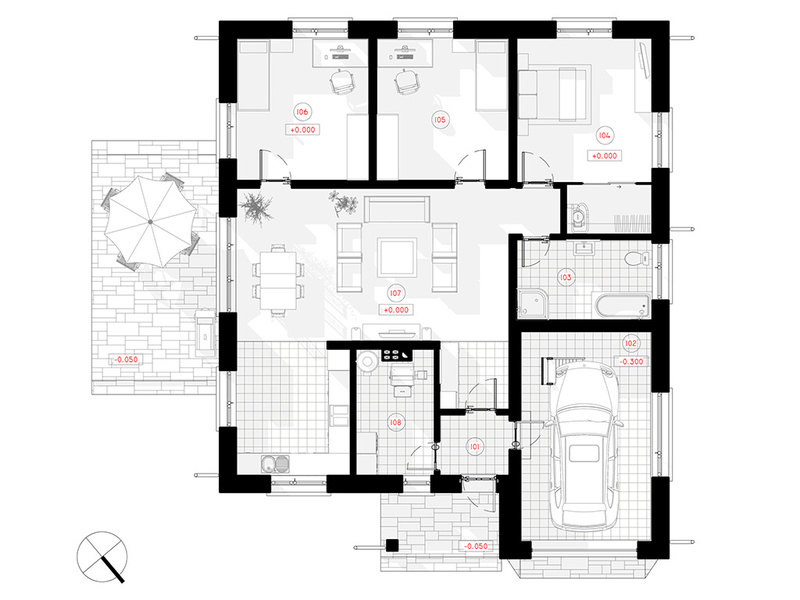 Upon entering the house, the one from the portal will enter the common living room - the kitchen-dining room, which includes doors to the sleeping rooms, and sanitary unit. 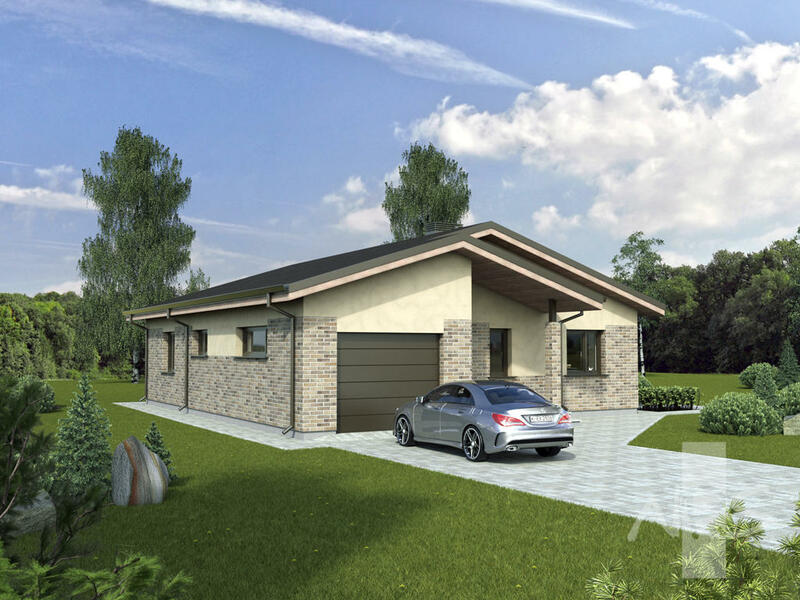 If you are a person who wants to use the space as efficiently as possible and have as much living space as possible, Kristina project is right for you.